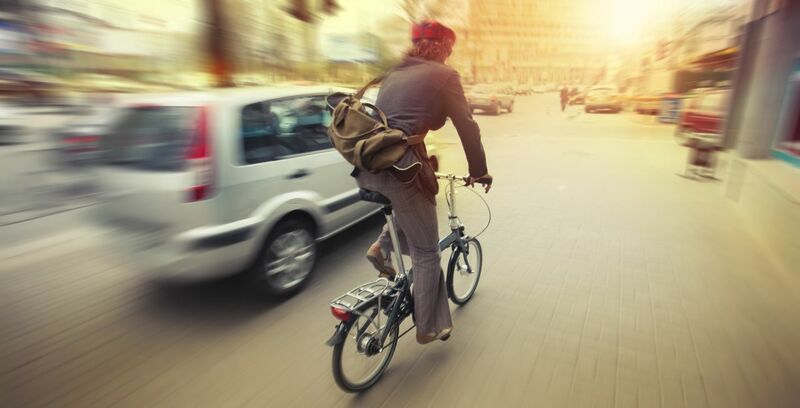 When a Driver Passes a Cyclist, Who Has the Greater Responsibility for Safety? We all know that too many drivers act as if they own the road and we cyclists have the duty of staying out of their way. The issue of who bears the greater responsibility isn’t looked at closely until there is a collision and the cyclist is seriously hurt. Florida Statute 316.2065 requires a cyclist operating a bicycle at less than the normal speed of traffic to “ride as close as practicable to the right hand curb or edge of the roadway.” The statute goes on to provide a number of exceptions to this general rule, however. One would be when it is reasonably necessary for the cyclist “to avoid any condition or potential conflict.” Examples cited in the law include a fixed or moving object, a parked or moving vehicle, bicycle, pedestrian, animal, surface hazard, turn lane or a substandard-width lane which makes it unsafe for the cyclist to continue along the right hand curb or edge or within a bike lane. I will deal with specifics about substandard-width lanes in another article. Bear in mind, the driver is operating a vehicle which Florida law recognizes is a “dangerous instrumentality.” It represents a potentially grave danger to the cyclist, not the other way around. When a driver passes a cyclist they must do so safely. They must pass at a safe distance from the cyclist but not less than three feet. If the driver can’t pass the cyclist at a safe distance in the same lane they must move into the other lane, or they should not pass. Regardless of where the cyclist is within the lane, the motorist may only pass them if they can do so safely. Therefore the greater responsibility rests on the driver. Jim Dodson represents injured cyclists throughout Florida. He is the author of the popular consumer guide the Florida Bicycle Accident Handbook offered free of charge to Florida cyclists.